Cutie Pie loves his dinosaur books still, even though he’s really into dragons. With so many books about dinosaurs on our shelves, I thought I’d compile a list of the dinosaur books from our ‘little’ collection for you. I’m sure most of these are in your public library – maybe some are more popular than others. I’ve only linked to a few books, just so you can check a few out (I’m not an affiliate). Most of these will be available from your local library! 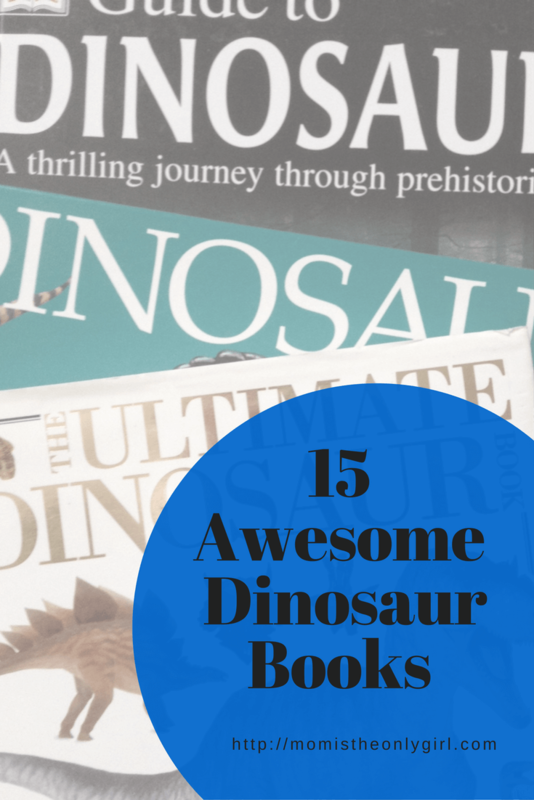 As Cutie Pie started to read on his own more and more, he gravitated toward Graphic Dinosaurs Comics by Rob Shone. Our librarian showed us these books in the comics section. These are laid out in more of a comic book style, and he really liked that about them. I think to some degree dinosaur books will always be on our shelves! What about yours?